We previously discussed what the difference is between a Will and a Trust. 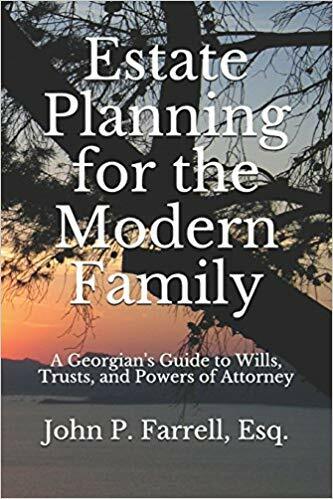 To learn detailed information about Estate Planning in Georgia, check out my book, Estate Planning for the Modern Family: A Georgian’s Guide to Wills, Trusts, and Powers of Attorney. But, you may have questions about what an Executor and a Successor Trustee does? An executor, sometimes called a personal representative, is the person who is named in a will, appointed by the court, and responsible for probating the will and settling the estate. Depending on the state, an executor may work under court supervision or may use so-called “independent” administration for an unsupervised probate. In Georgia, the executor is supervised by the Court. Typically, a petition of probate must be filed with the court for an executor to be appointed. If the person agrees to be the executor, and no one objects, the court will issue letters of testamentary. These letters authorize the executor to gather the estate’s assets, sell assets, pay creditors, and open an estate bank account. An executor is ultimately responsible for distributing the estate assets to the heirs in accordance with the terms of the will. If there is no will, then your executor, now called an Administrator, will distribute assets in accordance with state law. Distribution of estate assets, in either case, happens only after debts, taxes, and administration expenses are paid. You have the option of having more than one trustee or executor. It is better to name a sequence of trustees or executors rather than joint ones. The executor and successor trustee can be different people, but do not have to be. Designating the same person as the executor of your estate and your successor trustee will minimize expenses but naming different ones will not allow one single person to have unilateral control. There are advantages and disadvantages to each setup. Give us a call today at (678) 809-4922 so we can help you select your executor and trustee. Previous Previous post: How do I leave assets to my Minor Children? Next Next post: How do I choose a Guardian for myself?